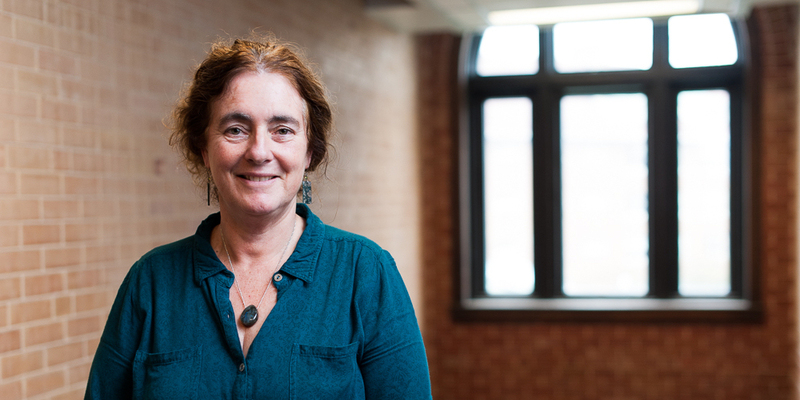 Dr. Begg is also a Faculty Lecturer in the Department of Plant Science where she teaches courses in Ecological Agriculture, Ecosystem Management and Soil Science. Dr. Begg is the mentor to four Macdonald campus clubs; the Macdonald Livestock Judging Club, Macdonald Student-Run Ecological Garden (MSEG), the Out-of-the-Garden Project alternative café (OGP), and the Farm-to-School group. Caroline helps with the Quebec 4-H Provincial Rally. Farm Management Technology V.4: Objectives are to familiarize students with the workplace functions of a farm manager as well as the conditions under which they are exercised. Through classroom activities and a one-week internship on an agricultural enterprise other than the home farm or business, students are exposed to the job of a farm manager and the potential for entrepreneurial initiatives. Farm Management Technology V.4: Objectives are the interpretation of soil fertilization practices and amendments for crop production, in relation to the physical, chemical and biological characteristics of soils. Topics discussed include soil sampling, soil test reports, soil pH and liming, nutrient management and environmental concerns, sources of nutrients, microbe-soil and soil-plant interactions. Farm Management Technology V.4: Objectives are to develop the skills needed to analyze the operations; to determine the performance criteria that are related to the workplace functions of the farm manager and establish the relationships with the critical skills and knowledge required for their successful completion. Classroom activities and a one-week internship on an agricultural enterprise other than the home farm or business, expose the students to operations that are normally undertaken by farm managers during the winter months. Farm Management Technology V.4: During a 13-week summer internship on an agricultural enterprise other than the home farm or business, students analyze the tasks and management operations that are a function of the agricultural enterprise manager and determine the performance criteria used for each operation. Students, by working, completing the tasks and asking questions, establish the relationships between the critical skills and knowledge required for successful execution of the various tasks and the position of each task within the overall management of the enterprise. Farm Management Technology V.4: An overview of the scientific, political, social and cultural aspects of agriculture and food. Topics discussed include agricultural sustainability, local food, food security, urban agriculture, permaculture, biodynamic and organic agriculture. Emphasis is on Canadian issues and perspectives. Farm Management Technology V.4: Objectives are to develop students’ ability to analyze the management practices, human resources, business operations, and the future potential for entrepreneurial initiatives, of the home agricultural enterprise or another agricultural enterprise during the 13-week summer internship. Farm Management Technology V.4: Objectives are to familiarize students with the environmental laws and regulations that oversee the development of a Nutrient Management Plan. Collect pertinent data for the realization of their own five year nutrient management plan, along with the nutrient management strategies selected to reduce the environmental impact of the agricultural activities of the farm. Dr Begg's main interest is in ecological agriculture and in food security; other research interests include the relationships between spatial patterns of crop and soil parameters in agricultural fields. Her goal is to increase agricultural producers' awareness of variability within the field and the impact this has on crop growth and sustainable agriculture. Luoh, Jen Wen, Caroline B. Begg, Rachael C. Symonds, Dolores Ledesma , Ray-Yu Yang 2014. Nutritional Yield of African Indigenous Vegetables in Water-Deficient and Water-Sufficient Conditions. Food and Nutrition Sciences, 5: 812-822. Bernatchez, F., Jeannotte, R., Begg, C.B.M., Hamel. C. and Whalen, J.K., 2008. Soil fertility and arbuscular mycorrhizal fungi related to trees growing on smallholder farms in Senegal. Arid Environments, 72: 1247-1256.